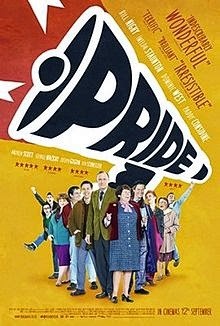 I kind of knew that I would like the film Pride, I hoped that I would really like it, but I wasn’t quite prepared for just how much I loved it – the kind of joyous, timeless film-making that makes you want to trot tired old clichés like Great British Classics. But it’s true, it really is. And it is also factually true – based on the real story of an unlikely alliance between a group of gay activists from London and a small Welsh mining community in the heart of the 1984 strike. Written by Stephen Beresford (whose Last of the Haussmans probably ranks as one of my favourite new plays of recent years), there’s something just straight up lovely about the culture clash that emerges between the two groups, but also in the way that the assortment of odds and sods on both sides who are completely changed by the experience. I don’t think a coda has ever affected me quite so much in the revelation of finding out what actually happened to these people in real life. 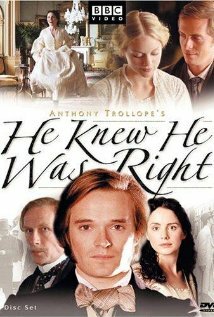 So having completely tumbled for the charms of The Way We Live Now, I turned to the following BBC Anthony Trollope adaptation He Knew He Was Right which was also reworked by Andrew Davies and broadcast in 2004. Trollope’s main concern here was the corrosive effect of jealousy and particularly on his lead character of Louis Trevelyan whose marriage and family are broken up as he struggles to deal with the independent mind of his wife Emily as he suspects her of having an affair, and suffers the consequences of a gossipy Victorian society. Aged 36, the widowed Agatha Posket feared for her re-marriage prospects so when the genial Aeneas Posket, the magistrate for the Mulberry Street Police Court, arrived on the scene, she lopped 5 years off her age and promptly became Mrs Posket. The only trouble is her 19 year old son Cis whom she tells the world is actually 14 in order to make her fib fly. 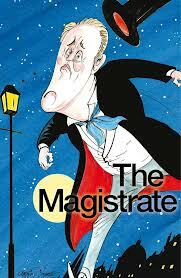 The farcical trials that follow as he continues to act as a 19 year old and the arrival of his godfather threatens to undo the whole deception make up the plot of Arthur Wing Pinero’s rather delightful play The Magistrate, which takes up residence at the Olivier as the National’s Christmas offering in place of The Count of Monte Cristo. In what turned out to be a rather fortuitous piece of timing, my return visit to The Last of the Haussmans came at a point when I was beginning to think that I’d left my love of theatre back with a broken pair of flip-flops on holiday, so uninspiring have my last few trips to the theatre been. But this play blew me away back in June, I left the National Theatre via the bookshop to immediately pick up the playtext and already planning who I might invite on a return trip. And sure enough it did the job, a jolt of theatrical Prozac that more than lived up to my expectations and reconfirmed my belief that this is one of the most exciting new plays of the year. 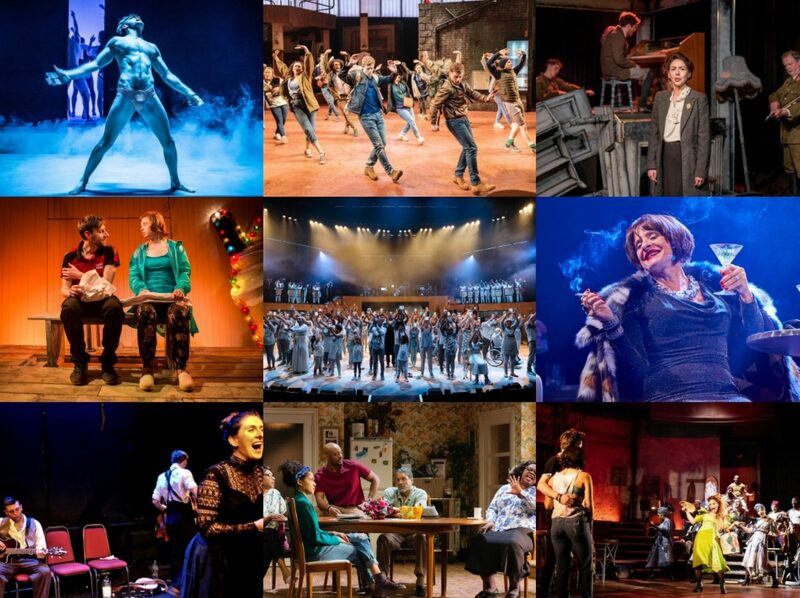 Sometimes you get to end of a show and just think ‘this is why I come to the theatre’. To be accurate it was my companion for the evening who said it but I was thinking the same thing (honest!) 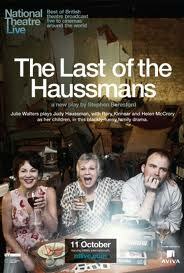 as the company for The Last of the Haussmans took their extremely well-deserved bows. 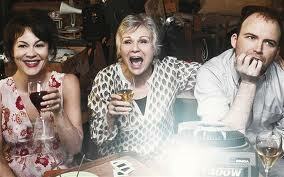 In something of a coup for writer Stephen Beresford, his first play has been given a home in the Lyttelton at the National Theatre and with the kind of superlative cast that most dream of: Julie Walters, Rory Kinnear and, in the most exciting development for yours truly, Helen McCrory. Fortunately, the play lives up to the billing and for me, it was one of the most exhilarating pieces of new writing I have seen for quite some time. This DVD of the 2003 Out of Joint/National Theatre co-production of She Stoops to Conquer has lingered in my to-watch pile for a wee while now, as the memory of the current Jamie Lloyd production at the National has remained strong. I got round to watching it, primarily due to the thrill of finally getting to see Monica Dolan on stage in Chalet Lines at the Bush Theatre, but truth be told I should have waited, a lot longer.